What horrifying images did Napoleon Bonaparte see when he visited the Great Pyramid in Egypt? Was Napoleon given a vision of the future? Napoleon’s strange encounter inside the King’s Chamber is still shrouded in mystery. In 1798, Napoleon embarked on a military and archaeological expedition of Egypt. Like so many other people at the time, Napoleon was fascinated with Pharaohs and he took with him several engineers, surveyors, astronomers and archaeologists in order to learn more about the mysteries of ancient Egypt. Napoleon’s scientists surveyed, measured, explored and made drawings of the Great Pyramid. Later, on Bonaparte’s order their research was published in a number of volumes from 1809 to 1822. This brings us to the most interesting part of Napoleon’s visit to Egypt. Napoleon had a need to explore the inner sanctorum of the pyramid and he asked to be left alone in the King’s Chamber where he stayed for some time. When he returned, it was reported that he looked visibly shaken. An aide asked him if he had witnessed anything mysterious, but Napoleon refused to comment on what had taken place inside the pyramid. All he said was that he never wanted the incident to be mentioned again. 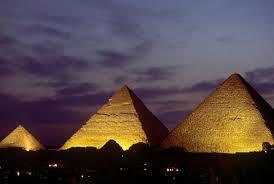 Whatever Napoleon experienced inside the Great Pyramid remains a secret that he took to his grave. There have been many speculations regarding Napoleon’s strange encounter in Egypt. According to one unsubstantiated story Napoleon was given some sort of vision of his destiny during his stay inside the King’s Chamber. ”The King’s Chamber was aglow as if with the brightest tropical moonlight. The pitiful dirty yellow flame of the candle was like a blasphemy, and I put it out. The astral light remained during the whole of the invocation and for some time afterwards, though it lessened in intensity as we composed ourselves to sleep. For the rest, the floor of the King’s Chamber is particularly uncompromising. In sleeping out on rocks, one can always accommodate oneself more or less to the local irregularities, but the King’s Chamber reminded me of Brand; and I must confess to having passed a very uncomfortable night. In the 1930s, author Paul Brunton spent a night inside the King’s Chamber. He later says that he was assailed by visions of “a circle of hostile creatures” which he likened to “elemental creations, grotesque shapes, madmen, hulking and devilish apparitions”. Was this mere hallucination or are some strange unexplained forced present inside the Great Pyramid. What could account for the strange visions people experienced inside the thousands year old pyramid? In more recent times it has been suggested that these visions were caused by background radiation given off by the black granite of the chamber, but surely if it was that simple then everyone who visited the chamber would experience a similar thing, wouldn’t they? Early experiments indicated that the King’s Chamber ‘spirit stones’ did seem to generate an electrical field which caused minor shock to at least one poor visitor drinking from a metal hip flask! It has been suggested that the Pyramid, because of its granite blocks, could transmit and receive radio and even microwave signals very well, and some believe that it gives off energy in an ’emanating apex’ this means that energy spirals off the top of the structure in a circle which widens as it permeates the atmosphere. Several alternative history researchers have said this confirms their suspicions that the Great Pyramid is some kind of beacon intended for use from space. 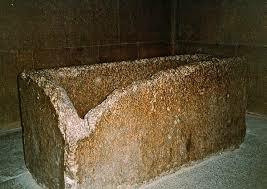 According to some more controversial claims radioactive sand was found in a chamber behind the Queen’s Chamber, which might explain the weird experiences of Napoleon and other people, the anomalous radioactive date readings given by the Pyramid, in which it appears that the top of the structure is 1000 years older than the bottom! This has led some people to speculate that the Pyramid was constructed upside down in midair by alien technology and then swung over into place on the Giza Plateau.